Jewelry refers to personal ornaments such as necklaces, rings or bracelets that purely made from jewels and valuable metals. They are decorative objects that add to the attractiveness of individuals. It has often been associated with social classes in the society. People with plenty of these valuable objects are linked to high social class. In addition, such individuals are perceived to be in line with fashion, always trendy. Fine jewelry is majorly designed for special occasions such as graduations, engagements events and birthdays. 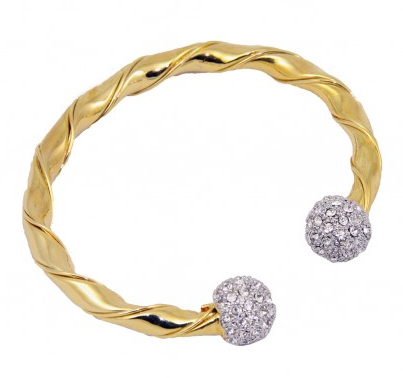 What makes fine jewelry a perfect fit for such occasions is the solid gold band setting along with genuine stones. The jewelry cannot tarnish and therefore can be worn on daily basis and still remain striking. The rings in this category of jewelry can be resized and be repaired with easy by a skilled jeweler. On the other hand semi-fine jewelry bonds the crack between fine jewelry and fashion jewelry. They are uniquely characterized by being gold plated or gold vermeil. In most cases, the ornaments in this category are made of are made of genuine stones such as opals. What differentiates semi-fine jewelry and fashion jewelry is the fact the base metal of semi-fine jewelry is sterling silver that can stand the test of time. There is also semi-fine jewelry designed from lab-created stones. They have similar attractiveness and may be difficult to differentiate them from fine jewelry. The difference in price can help in this regard. Caution should be taken against putting them on while in the shower while sleeping or working. Water and oil may facilitate wearing out of the gold plate with time. Also, jewels in this category should be reserved for fashion-forward pieces. They are affordable and exists in a wide range. Fashion jewelry is basically made from non-precious stones and metals, often brass, bronze or copper. The ornaments in this category include rings necklaces, earrings, and bracelets made with beads and leather. 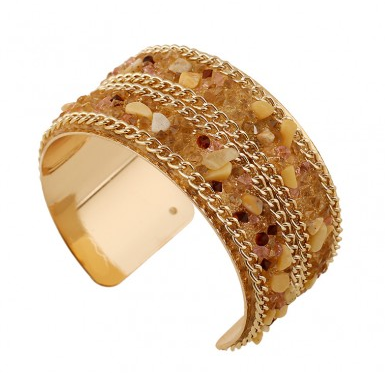 Fashion jewelry can also be gold plated or gold vermeil. Nevertheless, the base metal is chiefly brass or bronze. You are likely to come across the ornaments that are not plated. The reason is, it is advantageous not to plate them since they can easily be polished away by cloth. To this end, anyone can tell the difference between these two categories of jewelry. Well, the difference lies with the quality of the metal used in designing the jewelry along with the stones set into the pieces. In addition, fashion jewelry is durable and can last for many generations. In fact, it is considered always considered an investment or a precious thing to be passed down to family members. Items perceived to be fine gold are structured from very precious elements such as gold, silver or platinum. In contrast, fashion jewelry is not made of very precious metals. Even though the main stones. Maybe natural, the surrounding stones are often manufactured. It is worth noting that in a situation where the main stone is manufactured while the surrounding ones are natural, the jewelry may be categorized as costume jewelry. In conclusion, a jewelry piece will always alter our perception of an outfit. They always elevate the entire appearance into something different.